All Events Group (AEG) is a business-to-business information & media company based in Singapore helping businesses build their competitive edge through industry intelligence, strategic skills and key relationships. We specialized in the Energy sector, addressing key industrial trends and developments in LPG, CNG, LNG, Biogas and Power Generation over the regions covering South East Asia, Central Asia, North Asia and the Middle East. 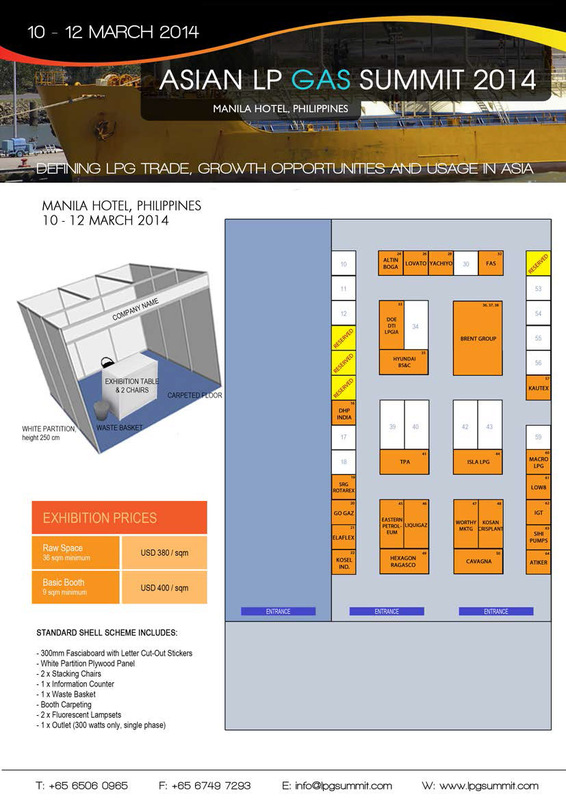 For more information on our conferences, please visit www.lpgsummit.com; www.cngngv.com; www.naturalgasglobal.com; www.icesn.com; and www.lng-world.com. The Partnership for Clean Air, Inc. (PCA) is a multi-sector network in the Philippines with organizational members from government, civil society, academic institutions and private sector. PCA’s mission is to promote air quality management as a multi-stakeholder effort in the Philippines. PCA facilitates air quality activities of members and stakeholders. It was launched in June 2001 and incorporated as a non-stock, non-profit corporation in November 2003. It is the Chamber's objective to become a highly effective organization that visibly supports and promotes business relationships between the Philippines, Australia and New Zealand. Thus, we are proud to be recognized as one of the oldest and most active Chambers in the country. With constant communication with our members and affiliate organizations in the government and public sector, we hope to develop and maintain a strong partnership and cooperation with people and industries that are instrumental in the growth and promotion of the economy, businesses and trade. Clean Air Asia1 was established in 2001 as the premier air quality network for Asia by the Asian Development Bank, World Bank, and USAID. Its mission is to promote better air quality and livable cities by translating knowledge to policies and actions that reduce air pollution and greenhouse gas emissions from transport, energy and other sectors. Since 2007, Clean Air Asia is a UN recognized partnership of almost 250 organizations in Asia and worldwide and 8 Country Networks (China, India, Indonesia, Nepal, Pakistan, Philippines, Sri Lanka, and Vietnam), and is supervised by a Partnership Council. ECCP is a bilateral foreign chamber that promotes European interests in the Philippines as well as Philippine interests in Europe. With more than 700 members, ECCP offers a strong business network that potentially translates to multiple business opportunities. It is a unique organization that offers membership as well as professional services to members and clients. KMI Oil & Gas scope grows not only in Oil & Gas Industry, but also in other industry such as Energy, Mining, Electricity, Petrochemical, Manufacturing, Telecommunication, IT, and many others supporting industries until Univercities and Research Institutions. This way KMI can strengthen its existance and independence as an organisation of professionals and experts in their disciplines.